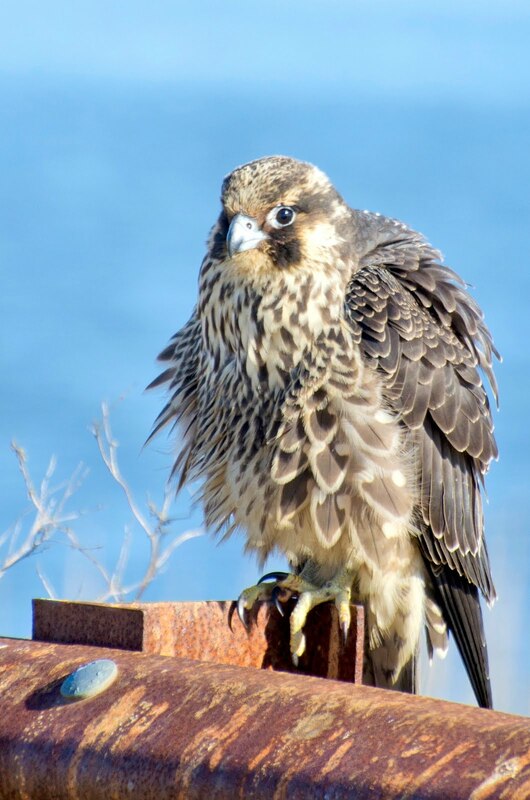 This immature peregrine falcon (Falco peregrinus) with feathers ruffled by the wind reminds me that I am cold, ruffled by wind, and increasingly impatient for warmer weather. We are in that time Charles Dickens described in Great Expectation as "those March days when the sun shines hot and the wind blows cold; when it is summer in the light, and winter in the shade." Click to enlarge.